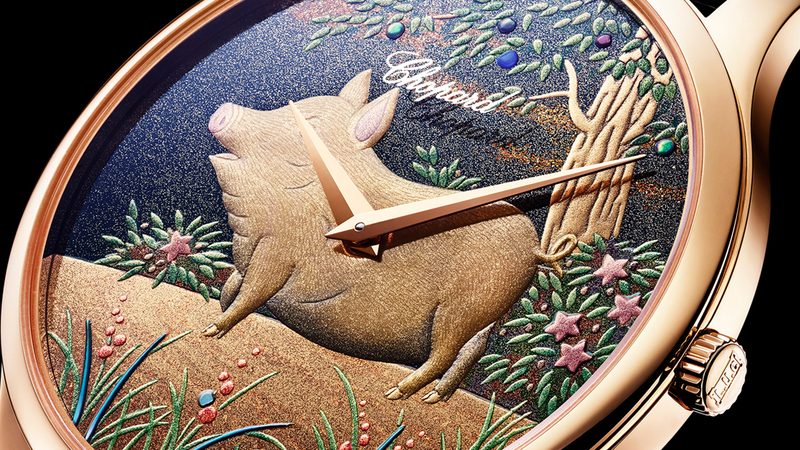 HAVING cooked up versions of its L.U.C XP Urushi honoring the Chinese calendar’s Year of the Snake, Horse, Goat, Monkey, Rooster and Dog every year since 2012 (in time for the Year of the Snake in 2013), Chopard has announced the latest piece that’s meant for the Year of the Pig. The Year of the Pig, by the way, starts from February 5, 2019 and ends on January 24, 2020. 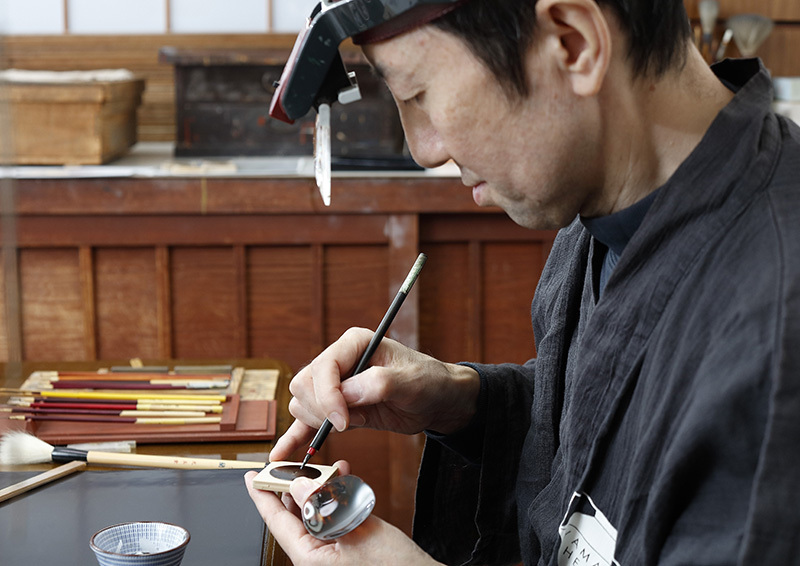 Limited to only 88 examples, each dial of the L.U.C XP Urushi Year of the Pig has again received the ministrations of Kiichiro Masumura, recognized a Living National Treasure in Japan. 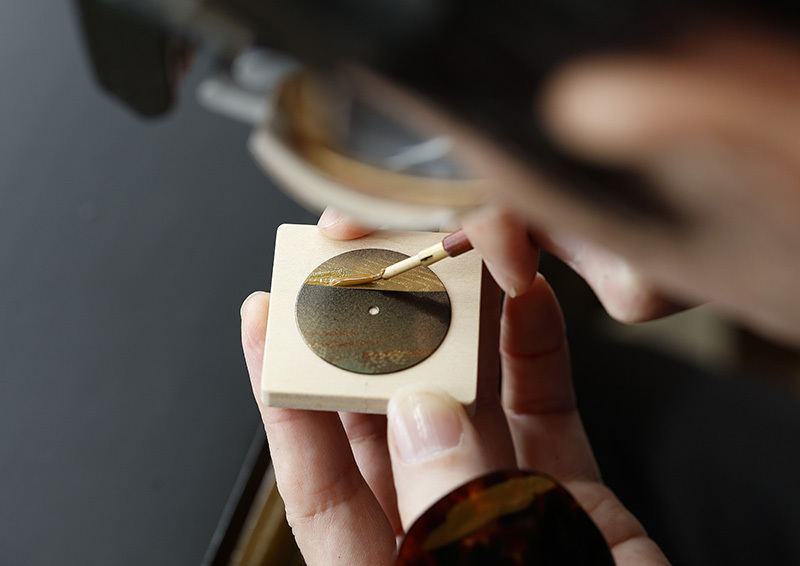 The craftsman’s traditional lacquer work — an example of artisanal practices Chopard advocates appreciation for — is combined with that of urushi grand master Minori Koizumi of the Yamada Heiando company to create the dials. Depicted on them is a golden pig, a symbol of abundance for the Chinese. The pig’s stomach bulges with bounty, an image believed to represent joviality. Unlike in other cultures (not to mention languages), a pig is nothing dirty nor negative in the Chinese zodiac. On the contrary, it is thought of as sincere, hard-working, considerate and generous. A year honoring it is thus equated to one during which time projects are successful, which then leads to festivities and, presumably, some tasty feasts. Used in painting the image of the pig and the lush forest against which it is set is a special varnish that gives the ancestral lacquering its peculiarly rich quality. 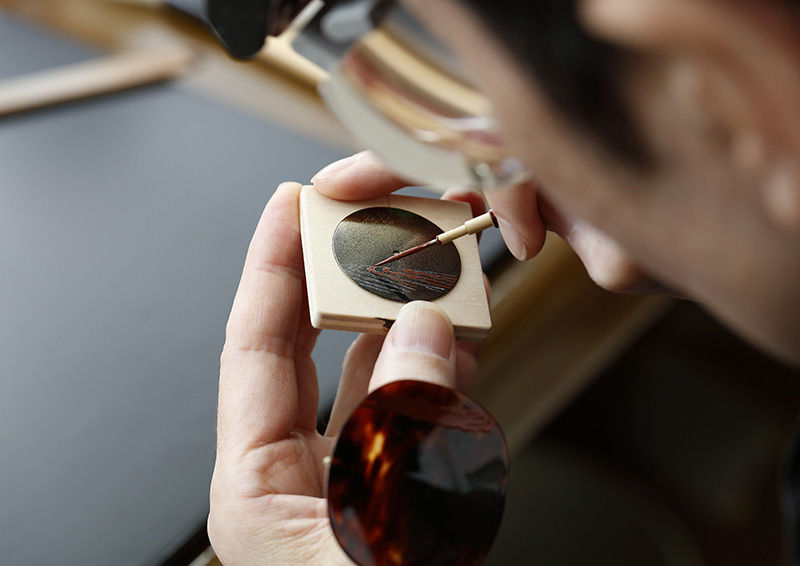 The varnish comes only from the Urushi tree, also known as the “Japanese varnish tree,” but which can actually be found in parts of China, too. 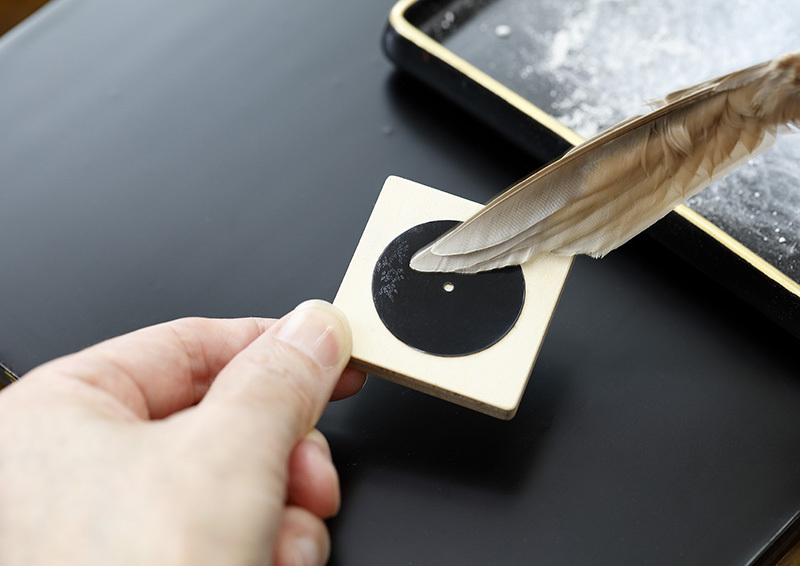 It produces a resin harvested once a year in small quantities, and this secretion needs three to five years before it can be turned into a sturdy but honey-textured lacquer. Applying it is as finicky as getting it from the tree; the varnish needs to be painted on in multiple layers of extremely fine coatings. 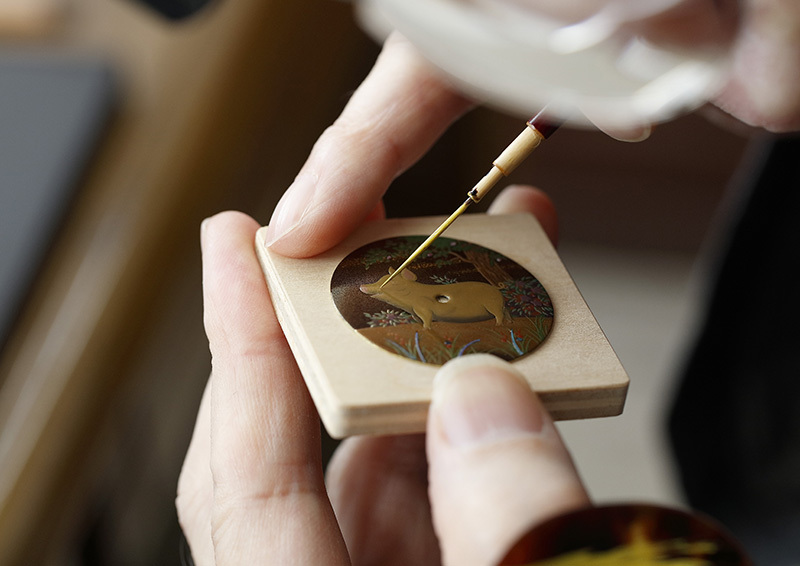 Little wonder it takes a national treasure and an urushi master to make the L.U.C XP Urushi Year of the Pig dials. The sensei’s handiwork is then matched to Chopard’s watch-making mastery in an East-meets-West kind of fusion. The rest of the L.U.C. 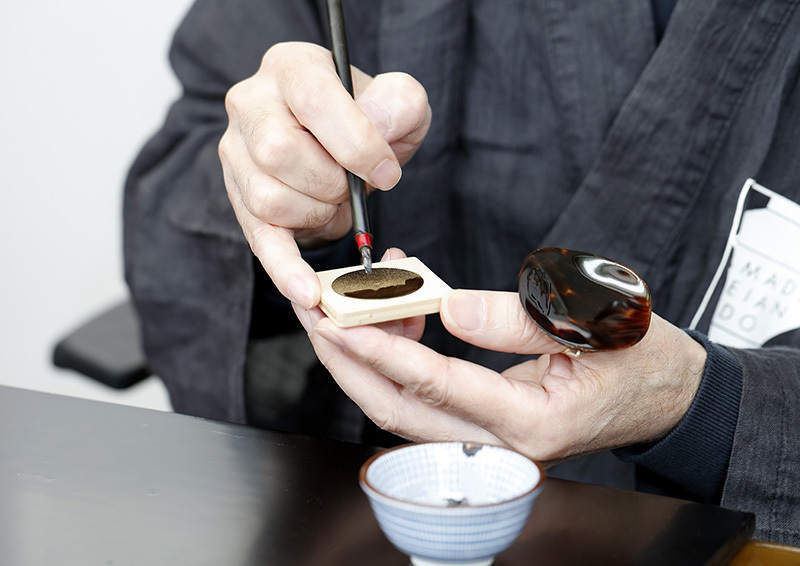 XP Urushi is hand-decorated in-house. 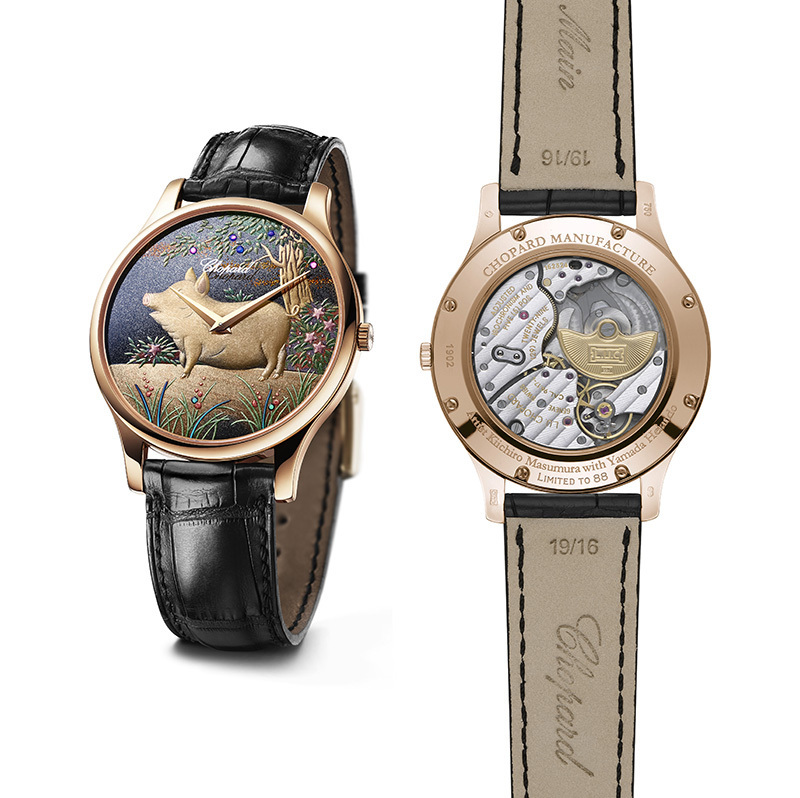 Chopard’s manufacture cal. L.U.C 96.17-L, a self-winding movement that spins at 28,800vph and packs a power reserve of 65 hours (thanks to two stacked barrels), is as meticulously crafted as the dial is. This can be seen on an exhibition window on the watch’s caseback; a 22-karat gold rotor has a backdrop of bridges adorned with Cotes de Geneve, a mainplate with circular graining, 29 jewels and an assortment of blued screws and other flourishes. Wrapping over all this is an 18-karat rose gold case. Which is but apt, considering it’s a golden pig that’s on the dial.